Feasibility analysis, specific acquisition and analysis, development and creation of hardware and software, product prototyping and engineering. 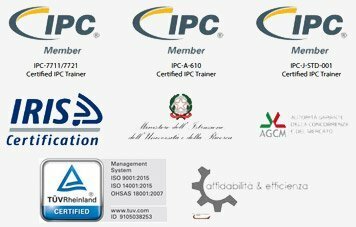 Qualified personnel with IPC certifications manage our fully automatic, highly efficient, dynamic and flexible SMT-THT assembly line. 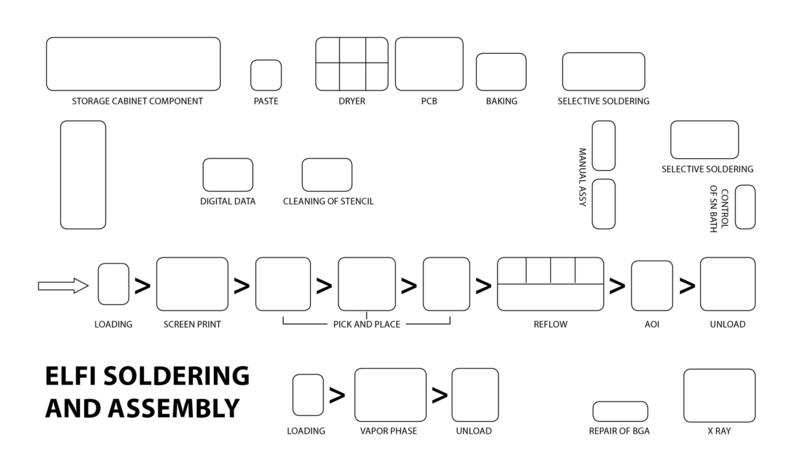 Complete TTns line for conformal coating of electronic boards. The plant guarantees the maximum support in every phase of the coating process, from the deposit of the product to its complete polymerization. Service that makes it possible to control the finished product thanks to its very powerful focus and innovative image processing software. The real-time event log guarantees the traceability of the product. Automatic cleaning system for foils and electronic boards, one of the fundamental parameters for quality silk-screen printing. We deal with the management of purchases, materials, warehousing and stock consignment. Management of warranty repairs, management of obsolescence, analysis of the interchangeability of obsolete components, re-engineering or re-design of products.